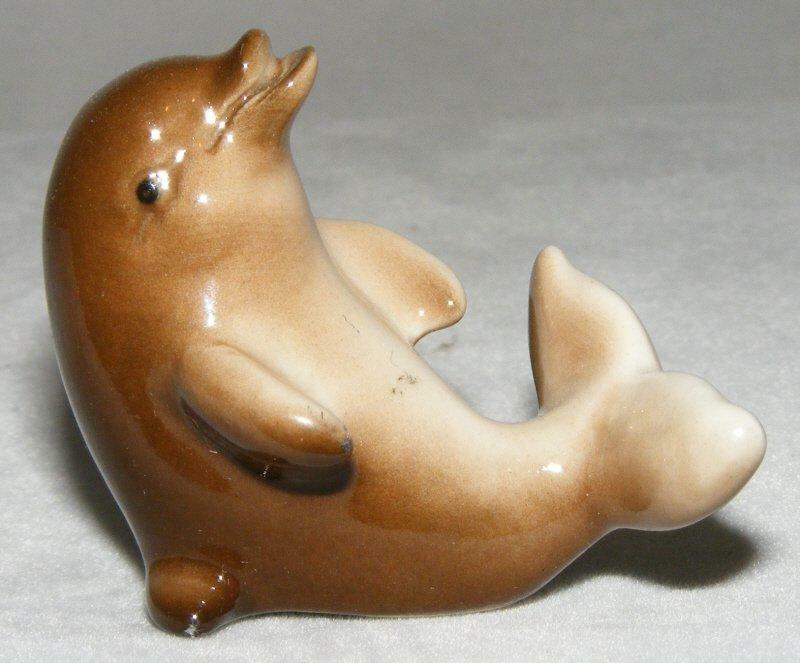 This cute little dolphin measures approximately 4 x 3 x 5 cm (about 1.5 x 1 x 2 inches) and will appeal to collectors everywhere. The Scitalis porcelain factory is situated in Astrakhan, in southern Russia. It started producing beautiful animal figurines in 1991, during the "Perestroika" period. Production of the animals is being developed continuously and the factory now produces over 200 items. Each piece is carefully hand painted, so no two are exactly the same and colours may vary slightly from one piece to another. The factory mark, a stylised Russian"S" (which looks like an English "C"), appears on the base of each animal. All my Scitalis figures are brand new and in mint condition. I prefer payment via PayPal, but also accept personal cheques or postal orders. I only accept payment via PayPal from buyers outside the UK. Items will be securely wrapped and posted as soon as payment has cleared. If an item is damaged in transit, please contact me and I will replace it or give you a full refund. I would appreciate either the return of the item or a photo of the damage, to support any claim I may make against the carrier. If you purchase an item from my website, you have the right to cancel the transaction. If you wish to do this, please e-mail me at the latest 7 working days after you have received the item. I will give a full refund of the cost of the item, but you will be responsible for the cost of returning the item to me.